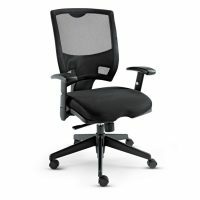 Intelligent ergonomic design fits most any user. 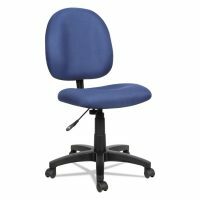 Flip-back height adjustable arms neatly pivot backward and out of the way when not needed. Synchro function tilts back in a 2:1 ratio to the seat for a more natural reclining position. 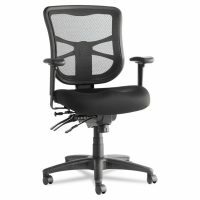 Integrated adjustable lumbar support bar for ideal back posture. 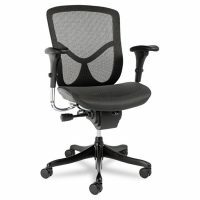 Breathable mesh back and generously padded leather seat for all day comfort. 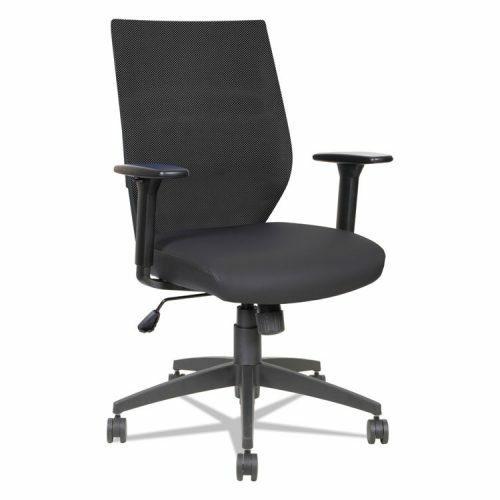 Waterfall seat edge reduces pressure points at the back of the knee. 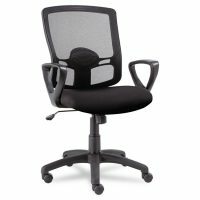 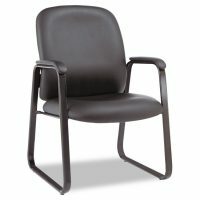 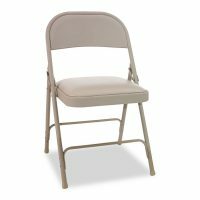 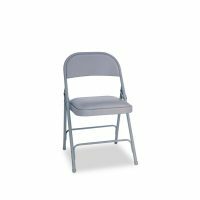 Recommended Applications: General Office & Task; Conference, Training & Meeting; Executive & Management; Seat/Back Color: Black; Arms Included: Yes; Arm Style: T-Bar.